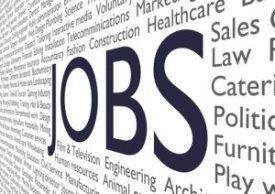 In its National Employment Report, ADP has reported that private companies added fewer jobs in March than in February while breaking a three consecutive month streak in job gains. U.S. companies added 158,000 jobs last month, down from 237,000 in February and 177,000 in January. With a Q1 average gain of 29,000 jobs per month, construction companies added no new jobs in March with the probable cause of the surge, Hurricane Sandy, fading into the background. Economists are reporting that the drop in job growth in March isn’t especially significant and that the growth trend established over the past few months should resume. However, there is some evidence that suggests the health care reform law may be causing hiring hold offs in small businesses. The new law requires companies with at least 50 full-time employees to provide health insurance to employees. Many mid-sized employers, such as retailers, hotels, restaurants, and services companies, also experienced slowed hiring. Other reports have suggested a contradictory view of the ADP report, finding that the job market is actually improving. The number of people seeking unemployment benefits rose slightly during the last week of March but remained below February’s level. This indicates that companies are cutting fewer jobs and potentially posting higher gains. A survey gauging manufacturing activity has also shown factories hiring at a nine-month high during March.